Utah is full of awesome beauty. It is a state which a person could spend many weeks exploring. Most of us, of course, don’t have weeks at a time to spend like that. It’s possible to spend a solid week just seeing National Parks, which are wonderful, but what about the mountains? Or Salt Lake City? Or the Great Salt Lake? Well, it is possible to take in a great deal of Utah in only a week. I’ve chosen to detail what to do on a summer visit. A winter visit would allow much of the same, but the hikes in the SLC area would have to be substituted with snow shoeing (or skiing), and Guardsman Pass wouldn’t be open due to snowfall. Fly into Salt Lake City. Of course you’re arriving before lunch, so you have more or less a whole day to play with. Rent yourself a car (Hertz and Enterprise both have offices at the airport). SLC has some great food, and one of its most famous restaurants is a Mexican place called the Red Iquana, renowned for its selection of mole. It isn’t far from the airport, so head over there. For dessert, cross the street and get yourself some expensive-but-delicious ice cream from Leatherby’s. One cannot enter the Temple but the grounds are beautiful and worth exploring! From there, take a short drive over and park near the Temple. 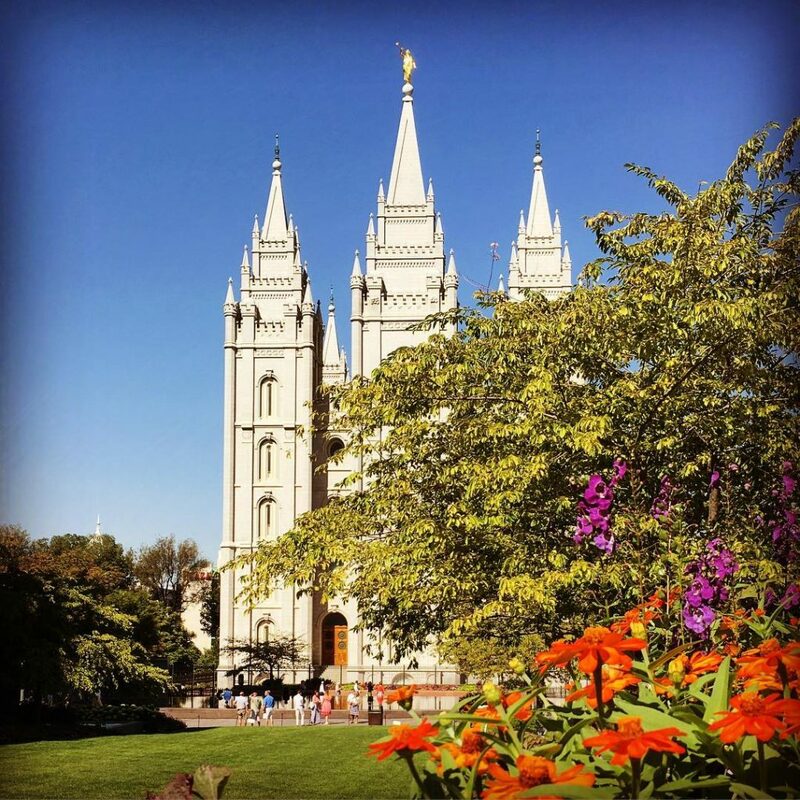 Take a walk around Temple Square (you can join a free tour!) to explore the area surrounding the Salt Lake Temple. It has beautiful grounds, and the Temple itself is pretty, too. The stone used to build it was hewn from the Wasatch range nearby, and there’s some interesting modern history involved in both the construction of the Temple and the founding of SLC itself, much of which you can learn about by visiting the museum on the property. If you like shopping, go to the pretty indoor/outdoor mall City Creek Center just across South Temple. Many folks like to pay a visit to the Family History Library, too. 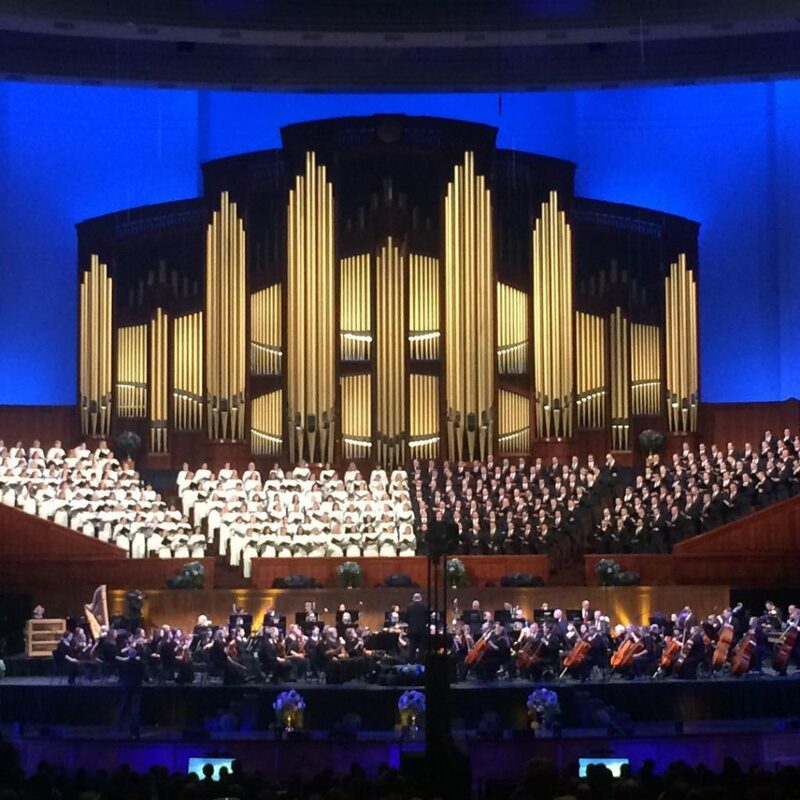 If you manage your schedule so you’re in SLC on a Sunday morning, you could (and should) catch a Mormon Tabernacle Choir performance, because they are jaw-droppingly good. Jenia got to visit and it was a treat! Fair warning: the city is mostly shut down on Sunday. Most restaurants and shopping centers are closed, so don’t plan a Sunday full of shopping and eating. You could easily drive or walk up the hill along State Street, though, and walk around the State Capitol building. 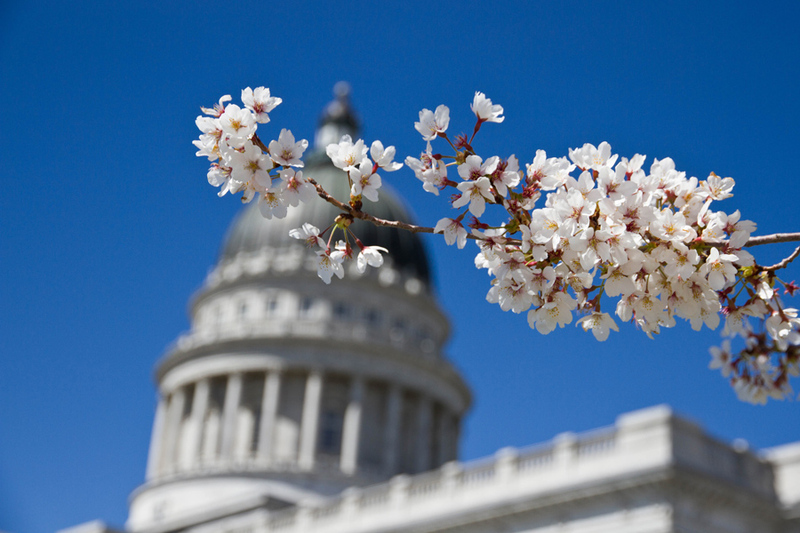 The Capitol is ringed with beautiful flowering cherries, and it offers wonderful views of the city and the landscape, including the Great Salt Lake to the west. It’s worth taking the time to explore this area of the city–it’s the most picturesque, with cute apartments and century-old homes and churches. City Creek Canyon is also a pretty place for a stroll. This area is particularly beautiful in spring! We recommend Kneader’s for homemade bread and good desserts; Costa Vida or Cafe Rio offer delicious fast food (as vegetarians, we prefer the veggie burrito at Costa Vida); The Pie Pizzeria for pizza; Zuppa’s for soup and salad (and if you go an hour before closing, their tasty creme brûlée is buy 1 get 1 free); and the pad Thai or pesto cavatappi at Noodles and Company. 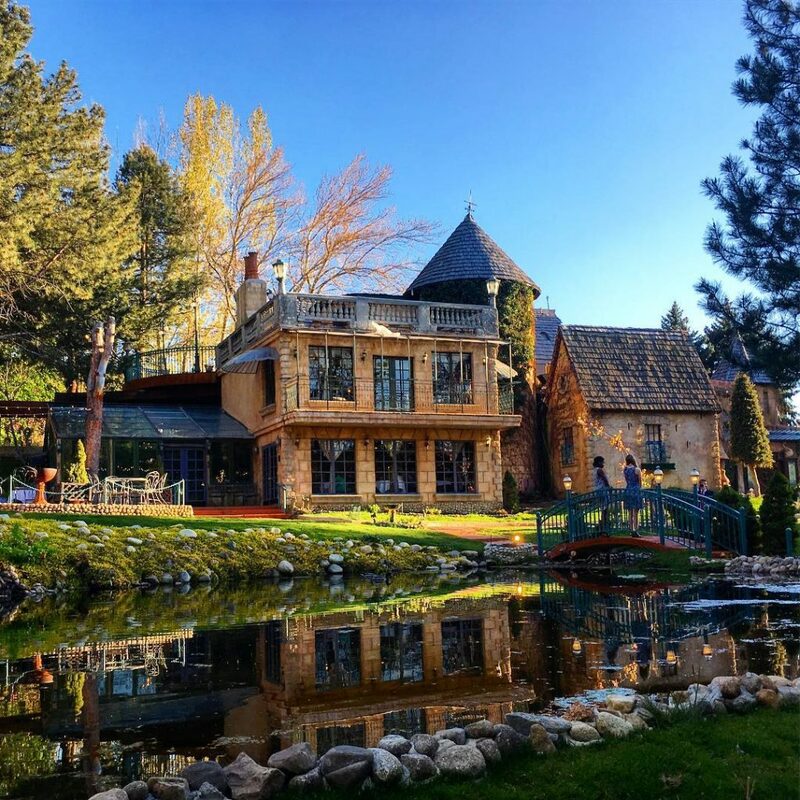 If you fancy a romantic dinner in a higher price range, do check out La Caille in Sandy. Worth the splurge but beware the cobblestones! 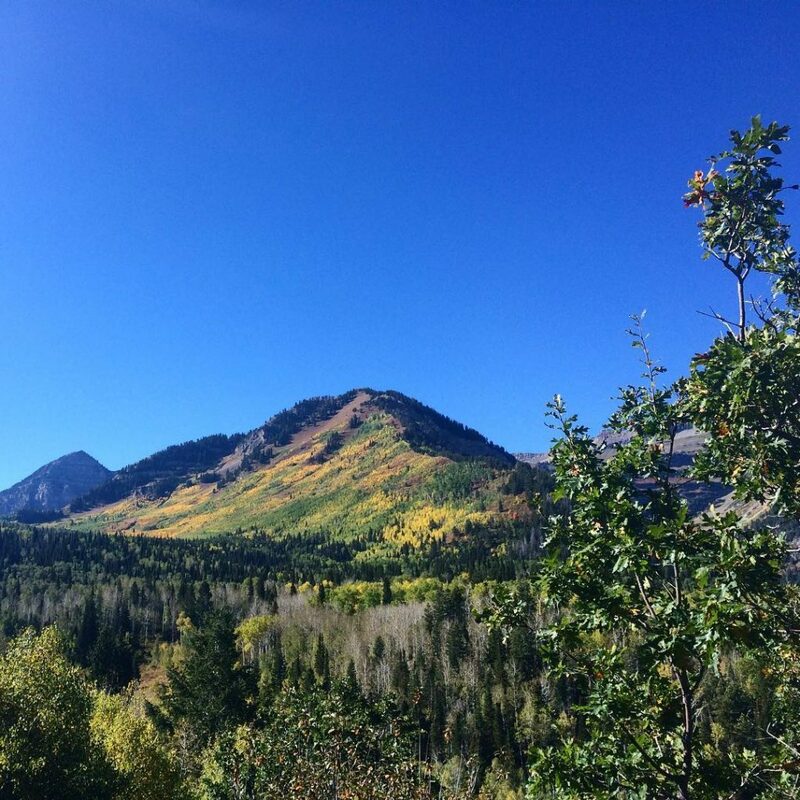 If you’re at all interested in hiking, explore the trails around either Little Cottonwood or Big Cottonwood Canyon. If you hike Little Cottonwood, you might see where slabs of granite were cut for the Temple. Both have some great views and lovely trails. Big Cottonwood is pretty crowded on the weekends, so be ready for traffic. Another option is taking a drive on the Alpine Loop or Mount Nebo Loop. This may not be a summer photo but just look at this beauty! Go to Park City. Walk along Main Street. Get a burger and a craft beer at the Wasatch Brewery. 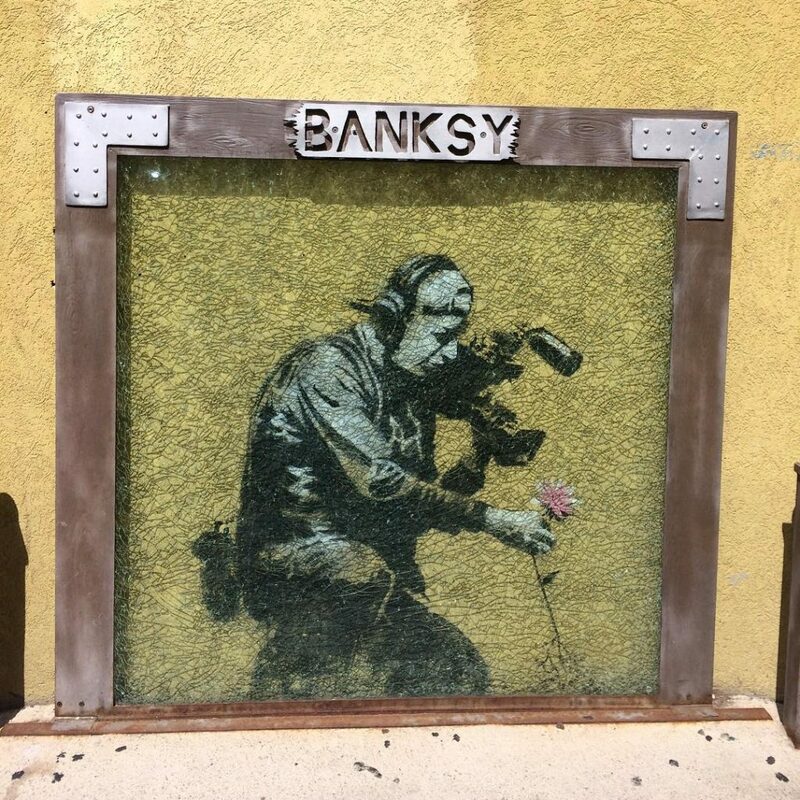 Check out a real Banksy. Next, meander your way back to SLC over Guardsman Pass, which gives panoramic views to the east. Stop and hike along one of the trails for a little ways. Then go down through Big Cottonwood Canyon and admire the scenery. If you haven’t already, make sure to stop and take a stroll along one of the trails. You may have to pay a fee if you stop to hike, but it is worth it. 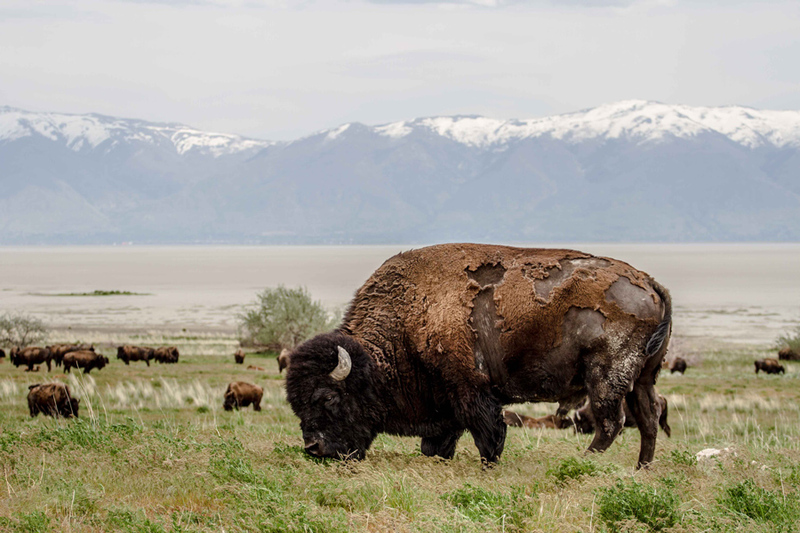 Head to Antelope Island to see wild bison and, well, antelope. It’s a unique experience. 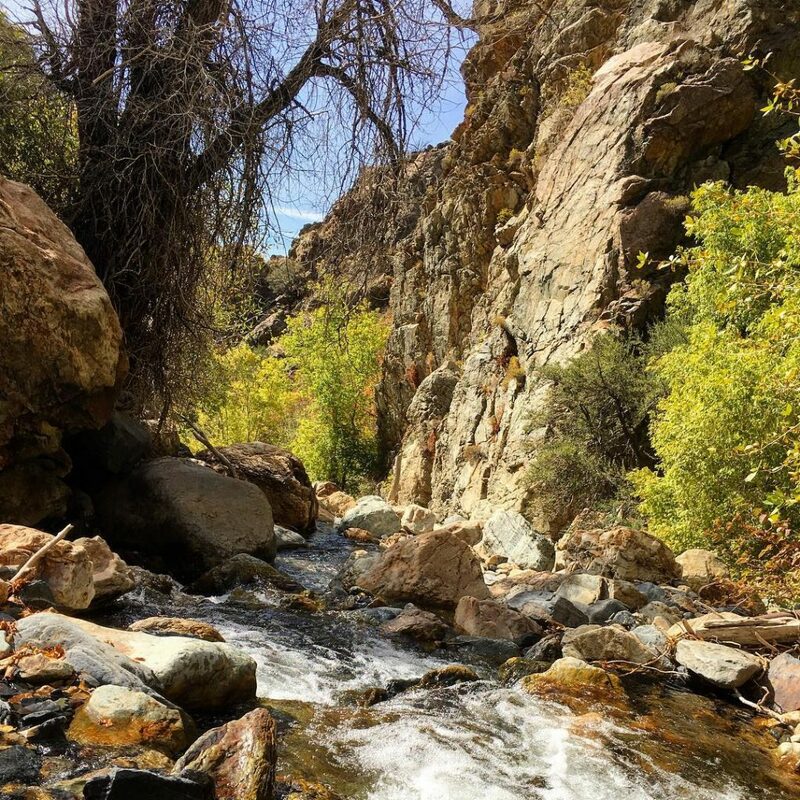 There’s an old ranch you can tour, and if you like hiking, again, there are ample opportunities. Be sure to take a can of Off! if you go during the summer, though, as the flies will bug you. Get it? Bug you? Sorry. The bugs are so thick that your windshield is likely to be totally covered in their little dead bodies by the time you drive across the causeway from Syracuse (part of greater Salt Lake City). If you make the mistake of trying to use your windshield wipers, you’ll find yourself gazing through an extraordinarily wonderful insect pâté. We didn’t take insect repellent, and were lucky that the wind whipped up while we were exploring, keeping the little buggers (I can’t stop) away. It’s quite a treat getting to see bison, plus you get to see the Great Salt Lake up close and personal. Since you will find yourself not far from Ogden, feel free to visit Union Station (a train depot turned cultural center hosting 3 museums) or Hill Aerospace Museum. It looks like snow but it’s salt! 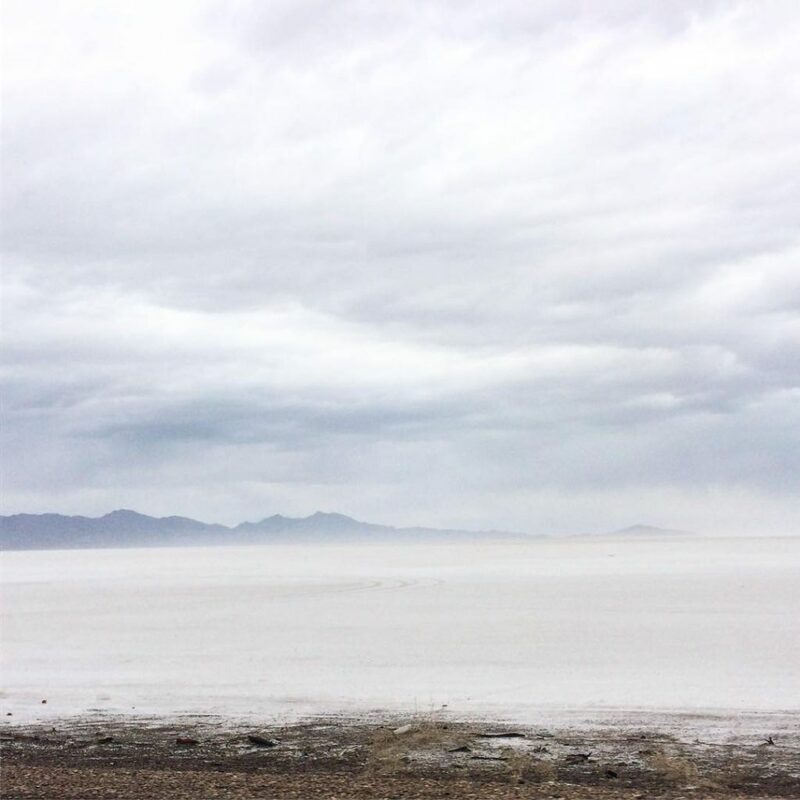 ALTERNATIVELY, if you’re into cars or motorcycles or racing, hop in I-80 and go west for almost two hours to check out the amazing Bonneville Salt Flats. If that sounds like a long drive, you’re right, but it’s a beautiful one. You’ll pass the tallest structure in Utah (a smelter chimney at the Rio Tinto Kennecott copper mine), and you’ll be able to see a Morton salt facility, too. The Salt Flats are a Mecca for top-speed trials, and you could see something really interesting if you go during Speed Week in August. You could either return to SLC from there, or you could cross into Wendover, Nevada and spend the night at one of the casinos. Both of the kids had a blast at Arches. There were so many rocks to play with! Go to Arches National Park. 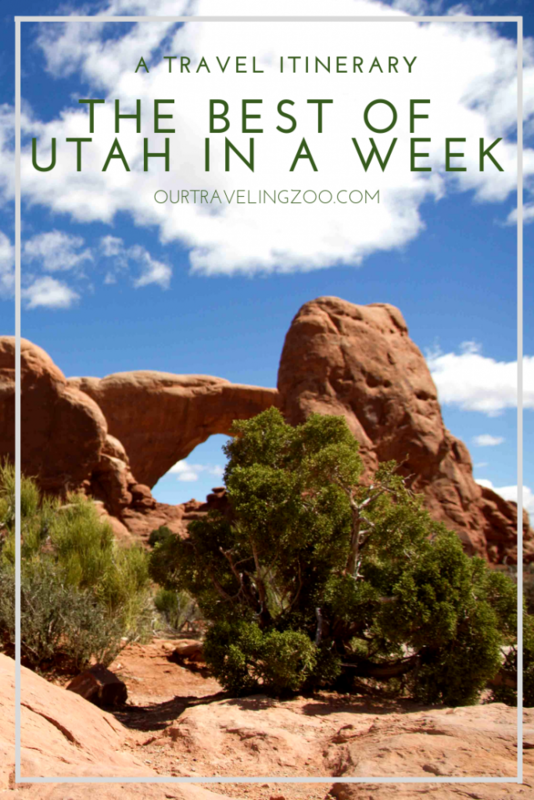 From SLC, you’re about 4 hours from Moab, which gives you easy access to both Arches and Canyonlands National Park. Hop on Interstate 15 and head south. Leaving early in the morning will allow plenty of time to travel and still explore the park. 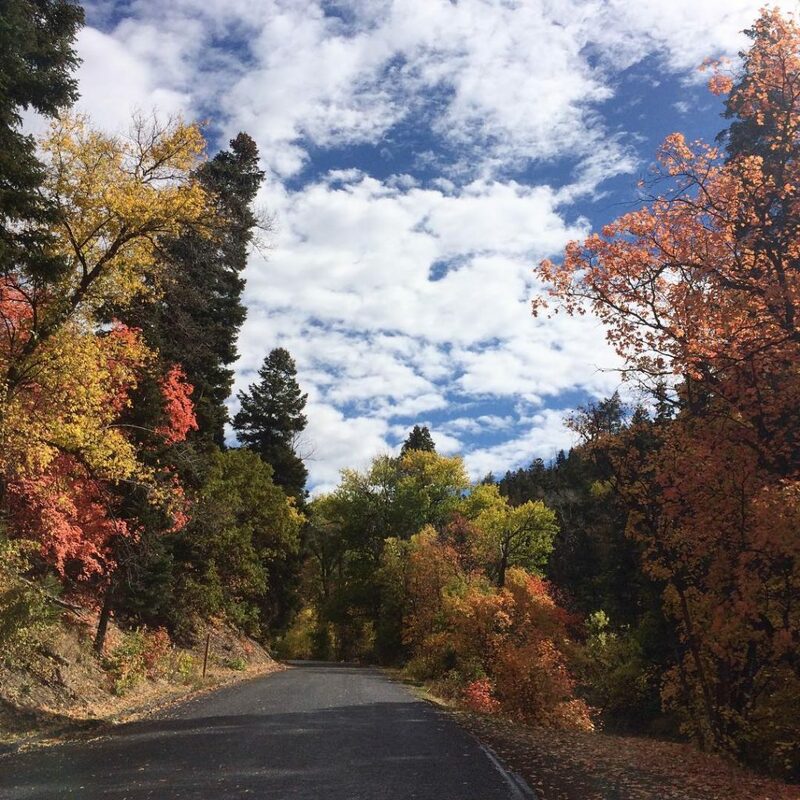 If you’re not in a hurry, however, you might take the (even more) scenic drive over the mountains from Thanksgiving Point, following route 92 down through Sundance, where you pick up 189 and then rejoin I-15 for a stretch before heading east. Once you’re south of Spanish Fork, there isn’t a whole lot of population, just beautiful scenery. 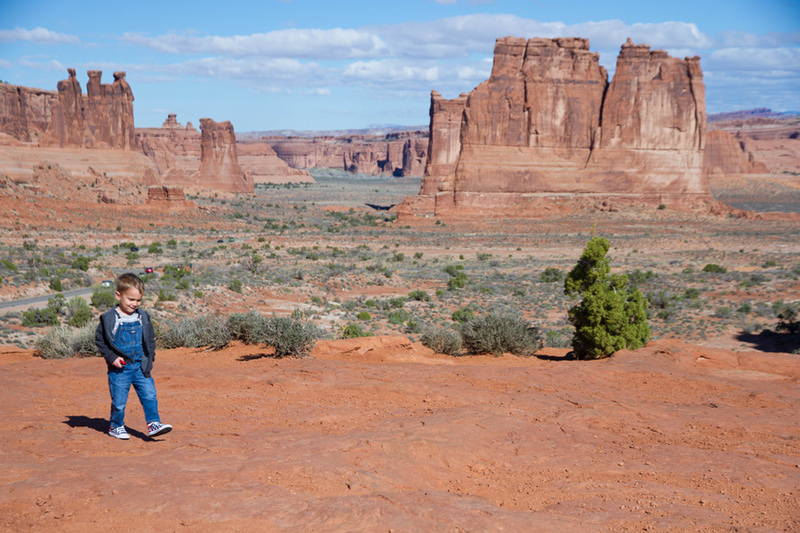 Arrive and spend some time exploring Arches. Get dinner in Moab, which is a lovely little tourist destination. It has many outdoor activities to offer, and amazing off-roading. You’ll see zillions of Jeeps; if you’re into off-roading yourself, you might like to explore the option doing some there. Tip: if you’re on a budget (we usually are), book a hotel outside of Moab (we stayed in Green River). You’ll save yourself lots of hard-earned. Spend a half day exploring Arches further. As you’ll have figured out by now, it is deservedly popular; each turn offers something new and out-of-this-world beautiful. 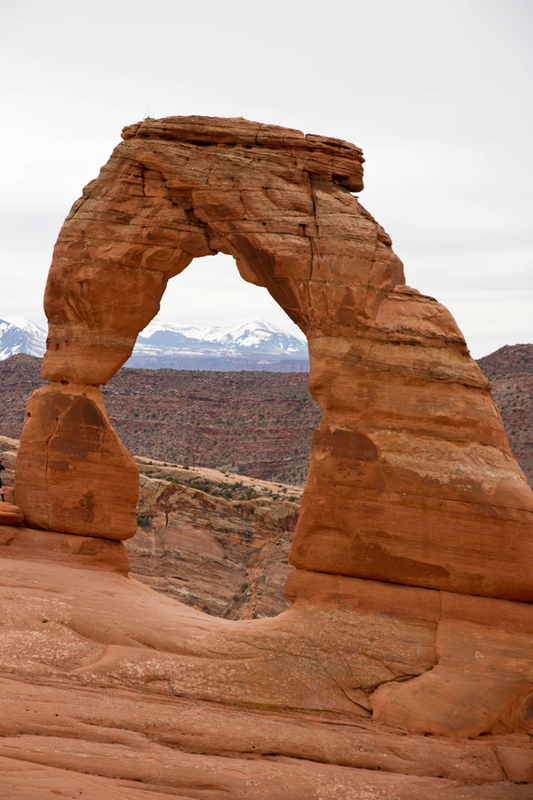 Take lots of pictures of the amazing scenery, and be sure to hike up to Delicate Arch. It’s not that difficult, even though it is labeled a strenuous hike; it is a rather long hike though. Get there early because there’s hardly any shade and, to top it off, the trail gets crowded by mid-morning, making it hard to find a parking space, let alone get a photo without strangers in it. After this, head to your next National Park. Spend a few hours seeing Canyonlands, then work your way south, through Monument Valley, and dip into Arizona. Our friends stayed in a Navajo Hogan they found on Airbnb and loved the experience. 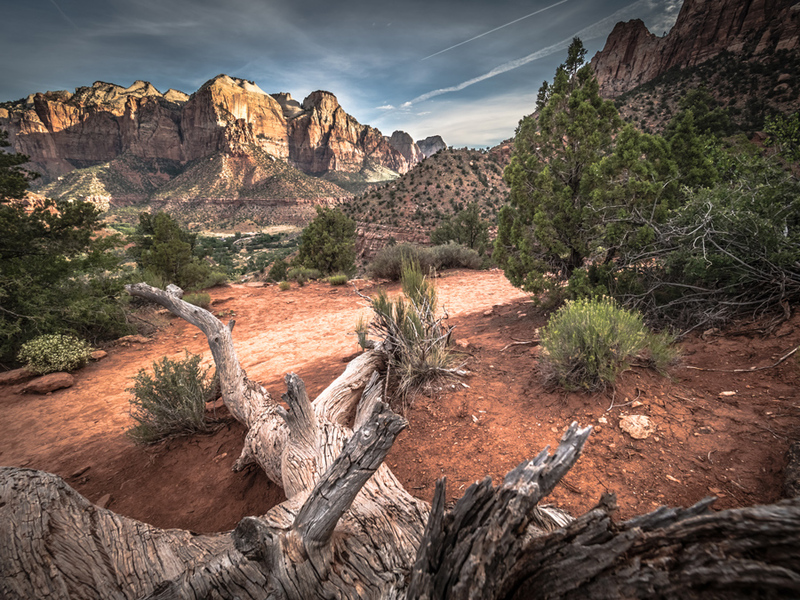 While you’re in Arizona, see the incredibly photogenic Antelope Canyon, then head northwest, cramming in more spectacular desert scenery, until you arrive at Zion National Park. There is a handy bus that shuttles you from place to place, allowing you an easy place to park and explore whatever area you most want to see. This is the National Park Utah natives tell you to explore; it’s incredibly diverse and easy to get around. You’ve arranged your flight for the evening, of course, so you have some time to play around with. Zip over to Bryce Canyon NP (here’s a great post about visiting Bryce Canyon from a fellow blogger) if you like, or, for a stress-free departure, leave early and head back to SLC. It’s approximately four hours up I-15. If you have kids, you’ll have time to let them enjoy a couple hours playing in one of the child-friendly museums in the SLC area (see below). If you’re traveling sans small wallet-draining noise makers, consider a visit to the Natural History Museum on the U of U campus or the Modern Art Museum downtown. The Red Butte Botanical Garden is worth a visit as well. Then return your rental car and board your plane. SLC area has some fantastic children’s museums. Treehouse Museum in Ogden may be our favorite (visit the same day you go to Antelope Island). Discovery Gateway is also neat and located right in the middle of Salt Lake City. It’s one of the few places that not only is open on Sundays but has a reduced Sunday fee ($6!) as well. Museum of Natural Curiosity in Thanksgiving Point is great fun but not cheap. Loveland Living Planet Aquarium in Draper is very popular and quite impressive for a desert city. The bison are awesome to see! The island is not always infested by the bugs so you may luck out. 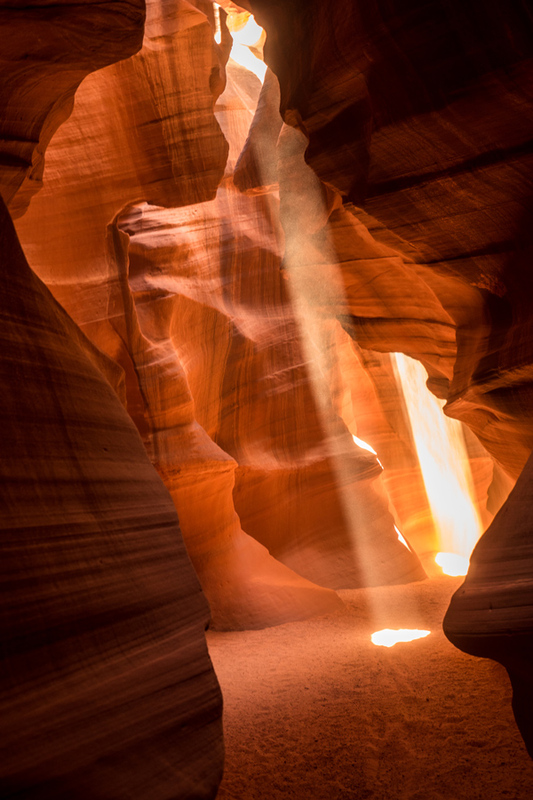 As for Antelope Canyon, there are 3 separate hikes: the Upper Canyon, the Lower Canyon, and a hike from Lake Powell that is supposed to be rather unimpressive. I absolutely love Utah and need to go back after visiting Antelope Canyon. I want to see the Salt Flats and see wild bore on Antelope Island. I had no idea you could see wild bore in Utah. We didn’t see the boars, unfortunately, but the bison and the antelopes were pretty neat, too. 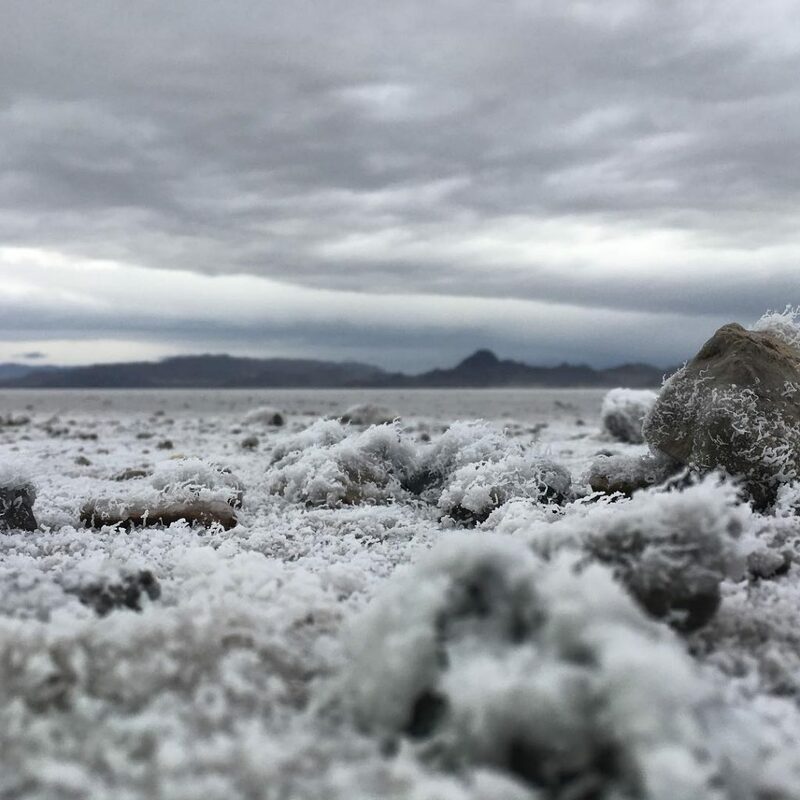 The Salt Flats are different from anything else we’ve seen! Thank you so much! Our year in Utah wasn’t an easy one but all the beautiful sites helped make up for it 🙂 Hope you get to visit soon! Thats a packed Utah itinerary. Seems like you had a good time. Reminded me of Utah trip I did back in 2012. I did not go to Antelope Island. Loved the salt fields and Antelope Island when I went there. It IS packed but it’s doable. The salt flats are a bit surreal, aren’t they? First of all. Wow really cool photo’s! Those wild bison look so interesting I would love to actually see one in real life. Now I can also see why Utah is called salt lake city, i thought it was snow at first. I really hope i get to travel that end of the globe one day, I am more of a country person than a city person and Utah looks amazing. Thank you! We are split on country/city and we do think Utah is great for both. I do hope you get to visit one day. There is just so much to see! Us two East Coasters have yet to make it out quiiiite that far west just yet, but I’ve been jonesing after some of the incredible natural beauty Utah has to offer. This itinerary is super helpful as we start prioritizing our next domestic trips! There sure are! Cherry blossoms are just the best 🙂 You are right about the Hispanic population, too, and there’s also quite a few people from SE Asia. Hope you get to see it all for yourself one day! You’ve really put together a fantastic itinerary! Utah is one of those states that I never considered visiting but now I can see it offers so much. I’m fascinated by the cultural and stunning natural landscape, thanks for sharing! Oh, thank you! I am so glad we were able to get you interested. It really has a lot to offer. Wow Utah is so amazing and beautiful !!! This is really great itinerary for seven day trip. Thank you, we tried 🙂 We do think it’s worth a visit. Hi, Thank you so very much for posting your Blog and Itinerary. I don’t think there are any words to describe how absolutely Stunning your photo’s were!! I live in the East of England and as I am planning on visiting Salt Lake City early October 2019, I read your travels and helpful insights/points. You have written your blog in a way which takes the reader along with you. Thank you again for such a well written and interesting Blog with fantastic photo’s! !